I flew from Washington DC to Devon (UK) roughly 9 hours ago. My MacBook knows that I am in the UK, but won't update the timezone. 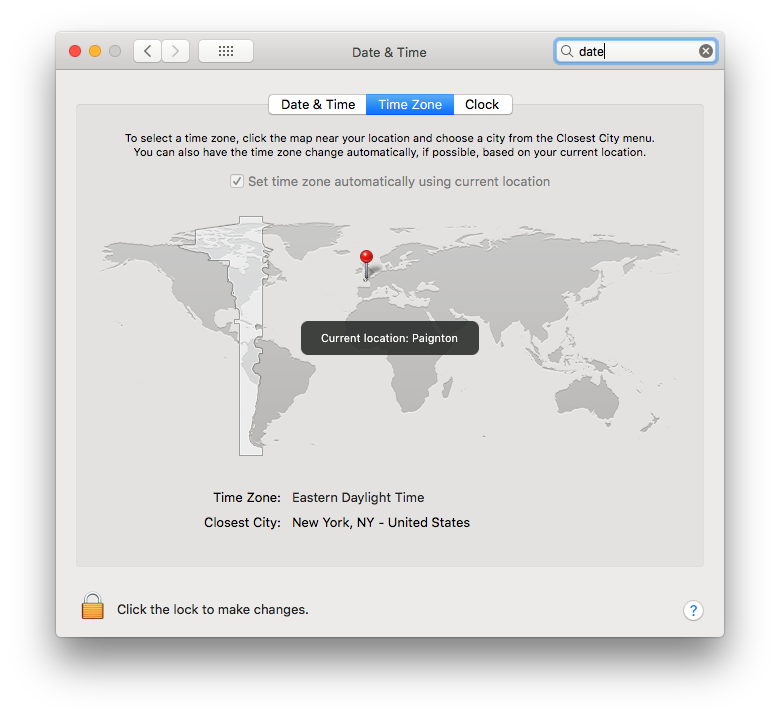 How do I make sure that the MacBook keeps updating the time zone automatically? I assume you 'unlocked' the pref pane with the icon at the bottom left. You could try using the Terminal command sudo ntpdate -u time.euro.apple.com. If the command returns errors such as Can't find host or no servers can be used, the network you're connecting to might have a firewall block on ntp servers. Not the answer you're looking for? Browse other questions tagged macos macbook high-sierra system-prefs . How to sync time between Windows and OS X?